Technology has touched practically every aspect or our lives, but has had the greatest impact on businesses and organizations. We cannot go a day without having contact with some form of technology, whether its laptops, mobile phones , tech gadgets or other forms of Internet Technology. Organizations are really in a unique position as they can view the technology changes as a positive or a negative. One of the challenges to organizations is the rate at which technology is growing and implementing strategies to keep up with the changes. For individuals it is a bit easier, but for organizations adapting to the growth of technology it is a bit more complicated and I do not anticipate it becoming easier as time goes by. 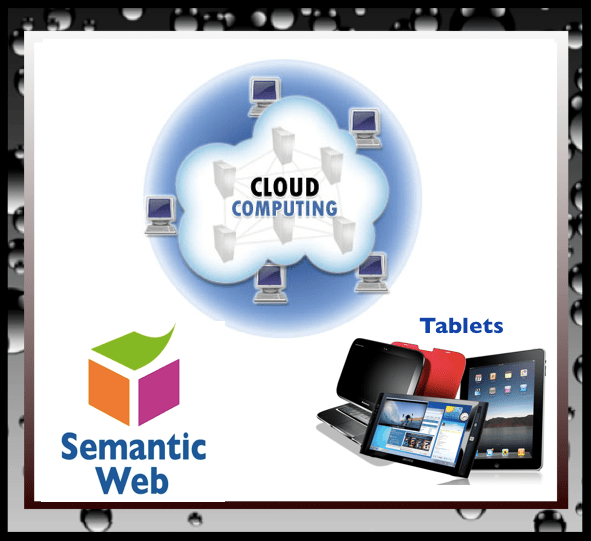 A few things that will really change organizations in the very near future is Tablets, Cloud Computing and Semantic Web. These technologies will offer a workforce and workplace flexibility that we have never experienced before because these technologies will allow a lot more mobility. Tablets are becoming really mainstream because they offer the ability to use technology anytime and anyplace. Tablets allow the mobility of a cellular phone but the capabilities of a traditional computer. As tablets expand with newer and more exciting bells and whistles the popularity will increase. When popularity of items increase they become more mainstream which can act to drive the price down. Soon everyone will have tablets and more organizations will be forced to adapt to tablet usage. This will be the beginning of a new kind of workplace that includes employees with the ability to be more mobile than ever before. This will change the employees perception of the workplace as well as how organizations function. Organizations will have to adapt to a much different structure based on the growth of a more mobile workforce. 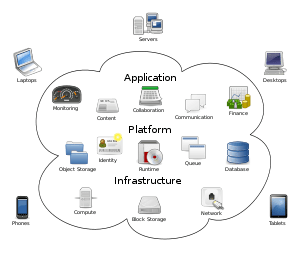 Cloud Computing has the potential to be HUGE and when fully realized will turn the work place, as we know it upside down. In the earlier days of technology, when organizations incorporated technology by way of desktop computers, servers, storage and other computer technology was needed to take care of the large amounts of data stored. The growth of Cloud Computing eliminates the need for data storage located in onsite computer rooms by creating information storage in The Cloud. This too creates a huge opportunity for companies to implement a much more mobile workspace and workforce. Semantic Web is something that is not in our immediate future but will definitely take technology to another level. With the growth of so many different technologies at such a super quick rate of speed we have become inundated with an abundance of data. All of this data is in different formats, are using different programs and applications so there are a lot of incompatibility issues. With the implementation of Semantic Web, data will be created and or recreated to be more compatible. So data will be created in a compatible way which would eventually allow the technologies to communicate, literally. That ROCKS! So as individuals we can view all of these things as super cool and consider the implications that they will have to our personal technology and gadgets. However as an organization, this his huge and will definitely have a huge effect on how things are run now and in the future. So as business owners we must start to educate ourselves on some of these technolgies so that we will be ready to implement them WHEN the time comes. The growth of technology is very exciting to individuals but can create challenges to organizations, education is the best way to prepare for coming changes. As usual, I welcome any comments or questions, good, bad, ugly or indifferent. Feel free to comment here or catch me on Twitter or post directly on my Facebook and or Google+ Page. I am a big fan of future technologies and the role that they will play in our very existence. Computer technologies have grown so much farther that we visualize on a daily basis that it is almost scary. As these technologies grow our every day lives could very well be very science fiction like. Technology has grow to the point that we could fully be immersed into our computer experience. It would be a part of our every waking moment. This is where Augmented Reality, 3D and Immersive Technologies moved the every day person from using their computers to allowing computers to immerse themselves in our very existence. 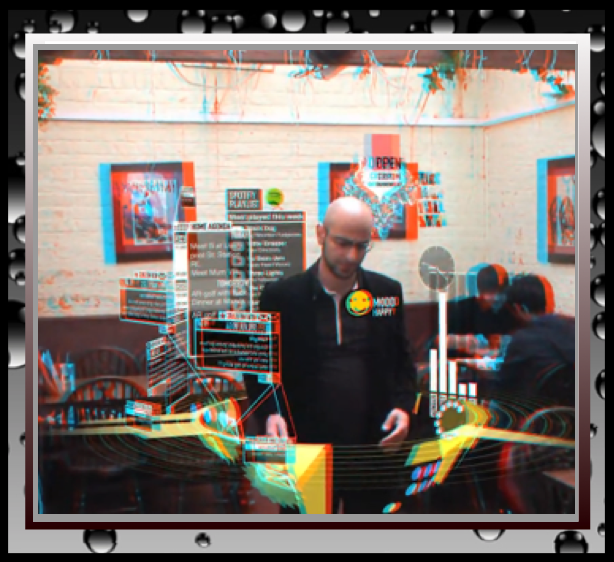 Augmented City 3D from Keiichi Matsuda on Vimeo.